Exclusively announced today by new BBC One Controller Charlotte Moore at the Edinburgh TV Festival, Dame Judi Dench and Dustin Hoffman are to star in Roald Dahl’s Esio Trot for Endor Productions and BBC One. Adapted by Richard Curtis and Paul Mayhew-Archer, filming will begin next spring in London. BAFTA-winner Hilary Bevan Jones will produce, and the 1x90-minute film will be directed by Dearbhla Walsh who won an Emmy for Little Dorrit (2009). Charlotte Moore, Controller, BBC One, says: ﻿"It's an honour to have Dame Judi Dench and Dustin Hoffman starring in this wonderful new adaptation. It's absolutely stellar casting for one of the nation's favourite children's classics." 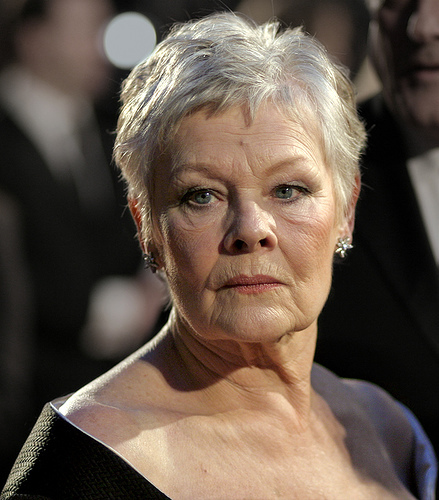 ﻿Producer Hilary Bevan Jones says: “To bring together two of the world’s favourite actors in Dame Judi and Dustin is a dream come true. Richard and Paul have captured the magic of Roald Dahl’s wonderful tale and and I am thrilled that Dearbhla is to direct it." Richard Curtis has created many successful British films and television programmes. For Roald Dahl’s Esio Trot he rekindles his partnership with Paul Mayhew-Archer. Together they wrote The Vicar Of Dibley, which ran for five seasons and won many comedy awards. Roald Dahl is one of the most enduring and successful children’s authors ever. To date, his books have sold over 100 million copies and continue to be loved and sold the world over. Mr Hoppy, played by Dustin Hoffman, is a retired bachelor, who harbours a secret passion for his neighbour, the lovely Mrs Silver, Dame Judi Dench. Unfortunately she lavishes all her affection on another... Alfie, her pet tortoise. Mr Hoppy yearns to talk to Mrs Silver, but tongue-tied and shy, his attempts always end in disaster. Mrs Silver’s greatest wish is for her tortoise Alfie to grow a little bigger. All seems lost for Mr Hoppy until he has the brightest, most devious of ideas. Will Mr Hoppy's wildly ingenious plot win the love of his lady?